Agora or Forum was the market place in ancient times in the sense of political meeting place and shopping area. 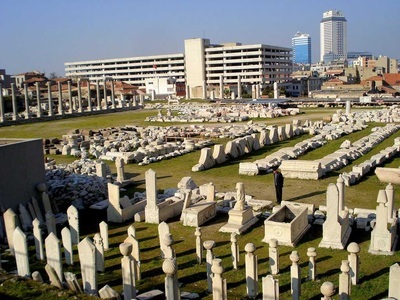 The agora in Izmir was used as a state agora for politics. Great columns, porticos-collonnaded walkways for shoppers or listeneres, stores with rounded arches and statues of Demeter and Poseidon make a great impact on visitors reminding the Roman times. 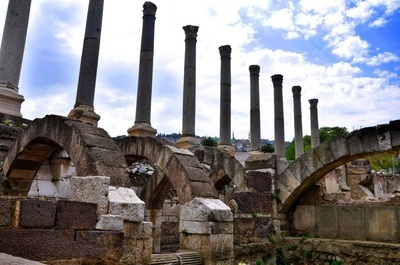 In antiquity, each town used to have an agora at least and if the town is gretaer or a big city, it used to have two agoras ; one for politics as upper agora, the other for the trade for commercial facilities in the lower part of the cities. All the state buildings were situated around the state one and the stores inside the commercial one. 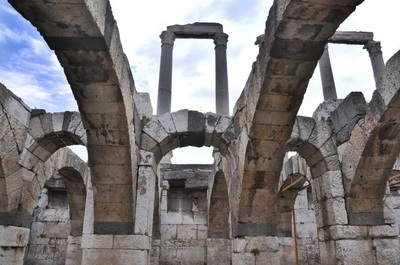 The agora in Smyrna was built in 4th C BC on the hill of mount Pagos and was enlarged during the Roman times with new alterations. This agora is considered as the state agora but the present remains belong to the Roman agora which was built n 178 AD by Marcus Airelius after the earthquake. 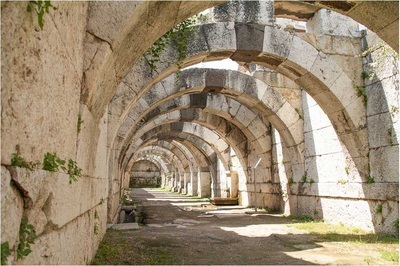 The agora in Smyrna is in rectangular shape, a big court yard in the middle it has a big stoa-colonnaded walkway for listeners or shoppers, surrounded with stores. It was expanded again in Byzantine times with alterations so it became a big basilica as the blob building. 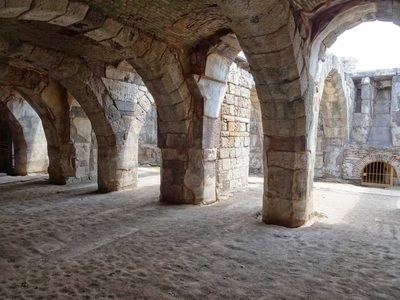 Vaulted shops show us the state agora here has turned into the commercial one at the end of the Roman period around 395 AD when Rome was split into two as eastern and western. Today it is one of the important stop for visitors.